Mathematics is all around us- it underpins much of our daily lives and helps us to make good decisions about our futures. Knowledge and understanding of this subject is therefore critical to all of our children and, here at Westbourne, we like to ensure that our pupils are both mathematically literate and mathematically confident. We aim to give our children the best possible grounding in Mathematics during their primary years. The Mastery Curriculum is now the basis by which we teach Maths at Westbourne. It is an all-round approach to teaching and learning - not a level of attainment. We believe that all pupils can achieve age-appropriate targets and develop a deep mathematical understanding. We want all children to develop both factual/procedural and conceptual fluency, and, as a result, a longer amount of time is spent on key topics. This provides opportunities to ‘dig deeper’ and embed learning, rather than moving on to new topics too quickly. We believe that all children can succeed when they are taught together. Children’s needs are catered for by the careful scaffolding of lessons, the skilful questioning by teachers and by appropriate interventions being given at relevant points of a child’s learning. Fluency in Number and Arithmetic is key for all children and we teach them that it is much more than just the 4 operations (addition, subtraction, multiplication and division) and the ability to use traditional written methods. Automaticity frees the mind to focus on the concept being taught, so knowledge of key facts such as- counting, number bonds, timestables, related division facts and equivalent Fractions, Decimals and Percentages are vital. Understanding about Number begins in the Nursery and moves carefully through each year group until the children reach Year 6, with pupils of all ages and abilities calculating with and reasoning about the different Number relationships. At Westbourne the children use a variety of mental and informal methods to develop their grasp of Number before moving on to more efficient traditional ways of calculating. Throughout the teaching and learning of the Mathematics curriculum, the children will also undertake different practical, hands-on experiences to enhance and deepen their knowledge and understanding. Reasoning and Problem Solving are now a regular part of every lesson. Children need to be questioned and encouraged to apply their knowledge of Maths concepts in order to deepen their understanding. Explaining how to ‘do the Maths’ demonstrates the depth of this understanding, and ensures that the children have truly grasped the subject being taught. Examples of Reasoning activities might include tasks entitled, ‘Convince Me’, ‘Always, Sometimes, Never’, ‘Prove It’, ‘What’s The Same, What’s Different?’ etc. 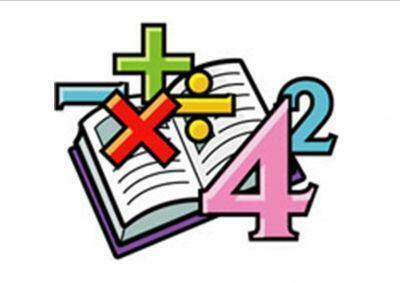 At Westbourne all of the children take part in a Daily Maths Lesson which encompasses all of the above...and more! And don't forget about Big Maths on a Friday...we just love Maths here!